These pants are very discreet, made from 100% cotton, washable and reusable. 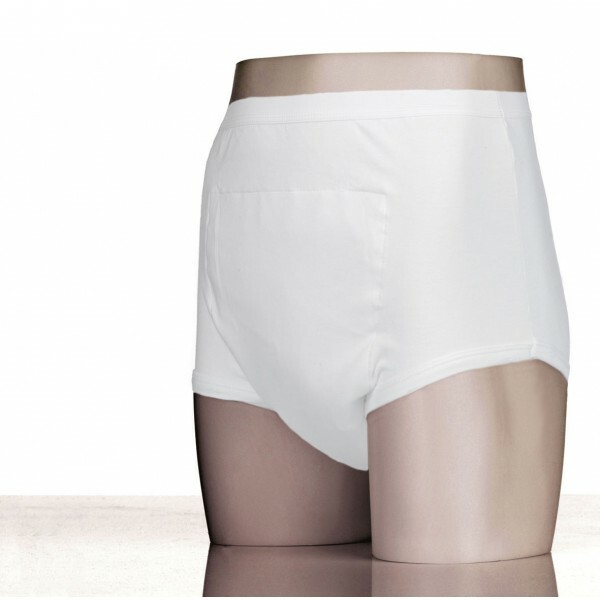 They are suitable for both men and women with light to moderate urinary incontinence. The Unisex design will be good for care homes and establishments that pool incontinence underwear, or for husbands and wives (who are the same size). The pants are also useful for men or women that would prefer a different fit than Kylie® Lady or Kylie® Male products. Men and Women tend to have different size hips. As this product is unisex please use the larger of hips or waist to select your size.